With the addition of a camera, Amazon’s new Echo Look device can now see and hear all. 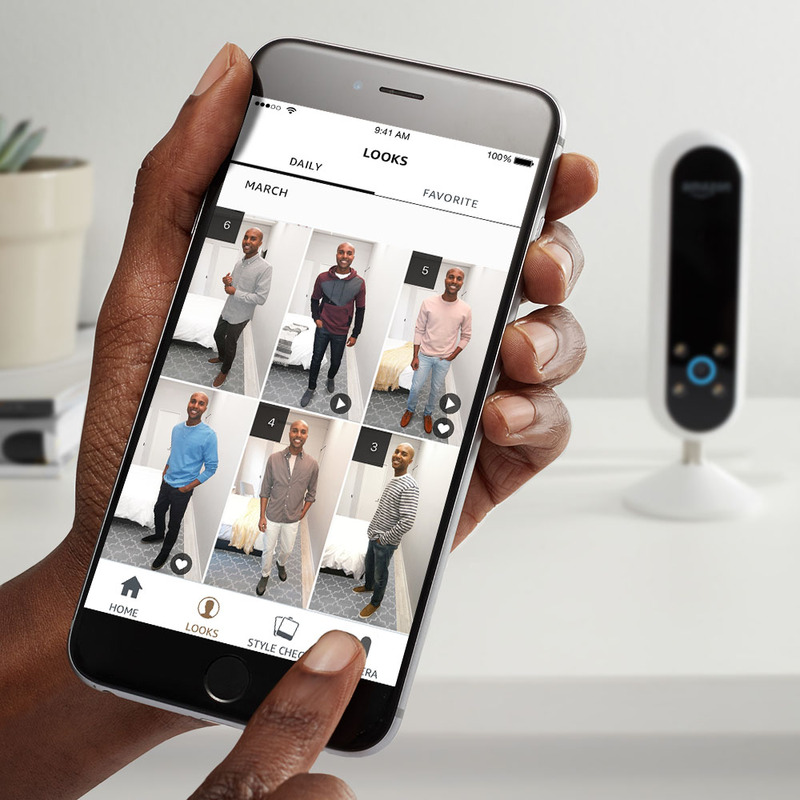 The device is a sort of standalone selfie machine so users can take full-length photos and videos of themselves specifically for the sake of checking their fashion choices in the morning. The new home assistant answers to commands like “Alexa, take a picture” and “Alexa, take a video” – for the latter, users spin around accordingly to get shot from all side, taking selfies while keeping their hands free. Videos shot with the hands-free selfie stick can be recorded or viewed in real time. At the very least, it’ll let you make sure no one’s adhered a Kick Me sign to your back before leaving the house. The app will also recommend styles to users, which presents a pretty clear revenue stream for the company after the hardware has been sold. That, after all, has alway been Amazon’s M.O. when it comes to releasing hardware — sell it cheap and hook people in to buy more stuff through your service. The company has clearly been taking steps to increase style sales through its AmazonFashion vertical, and for those who are interested in such things, this is a pretty decent hardware hook. The device looks a fair bit like one of the latest generation of smart home security cameras, with an oblong shape and a camera, mic and LED array at the bottom. The camera has a built-in depth sensor to blur out everything in the photo, save for the subject. There’s also, thankfully, a large microphone and camera off button on the side of the device, so it’s not recording your every waking moment, a big concern with mounting security questions surrounding these ever more popular device. But now that video is being added to this category of always-on devices, a new set of worries is likely to increase among those who were already wary. Of course, the thing’s also got the standard base of Alexa function on board, so users can also check the weather to make sure they’re properly dressed for the occasion. The style functionality feels a bit nichey, but then, I recognize that the product is for people like me who more or less wear the same clothes from day to day. Given the fact that Echo is constantly updating, I wouldn’t be surprised to see a lot more camera specific functionality in the months and weeks ahead. For now, it can be purchased for $200, a $20 premium over the standard Echo.